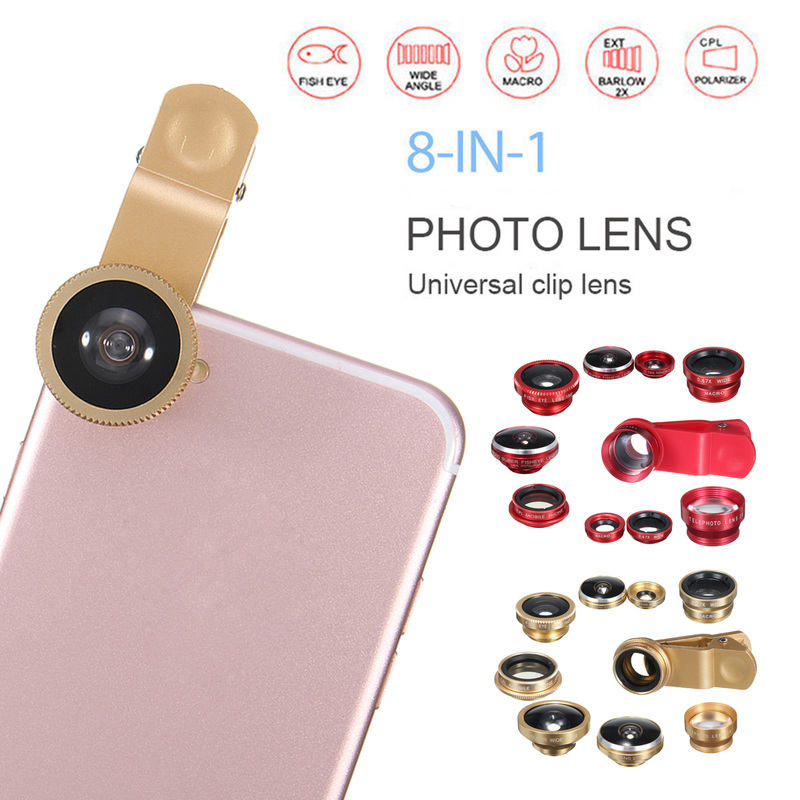 8 in 1 lens kit: the 235°super fisheye, 180° fisheye, 19X Macro Lens, 0.54X Super Wide Angle Lens, 0.67X Wide Lens, Macro, CPL polarizer, Telephone Lens 2X. 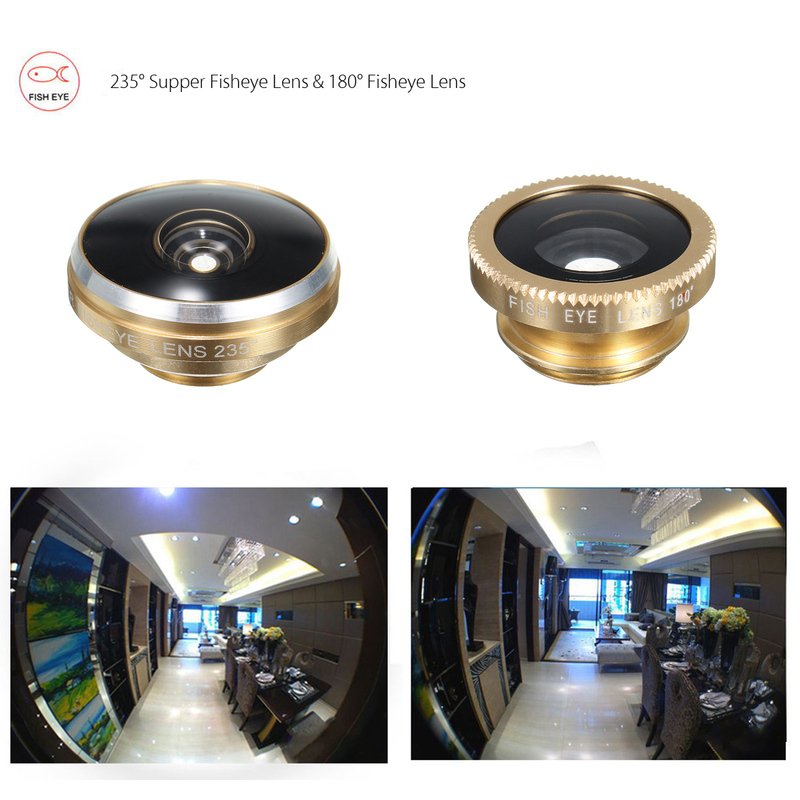 Super 235°fisheye and 19X Macro lens, 0.67X Wide and Macro lens is a 2-in-1 set, these two small lens are screwed together for easy storage. 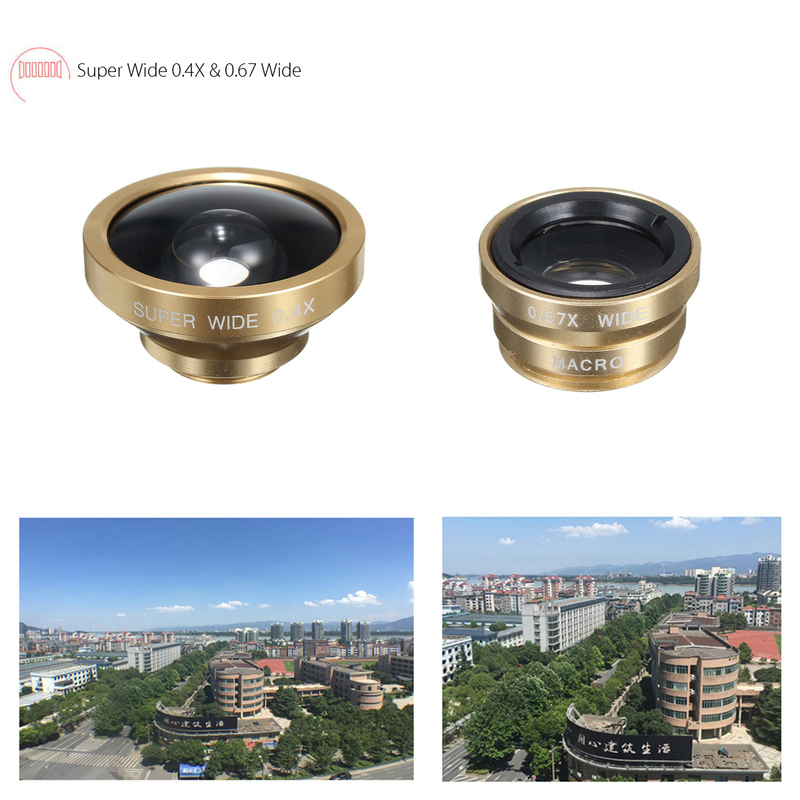 When using the wide angle, simply attach both lens to the case provided; when using the macro lens, simply unscrew the wide angle lens. Made of high quality aluminum construction, durable. Different lens give you an shooting options to help you enhance your mobile photography. Simplest and fastest way to turn your iPhone into a telescopic camera in seconds. 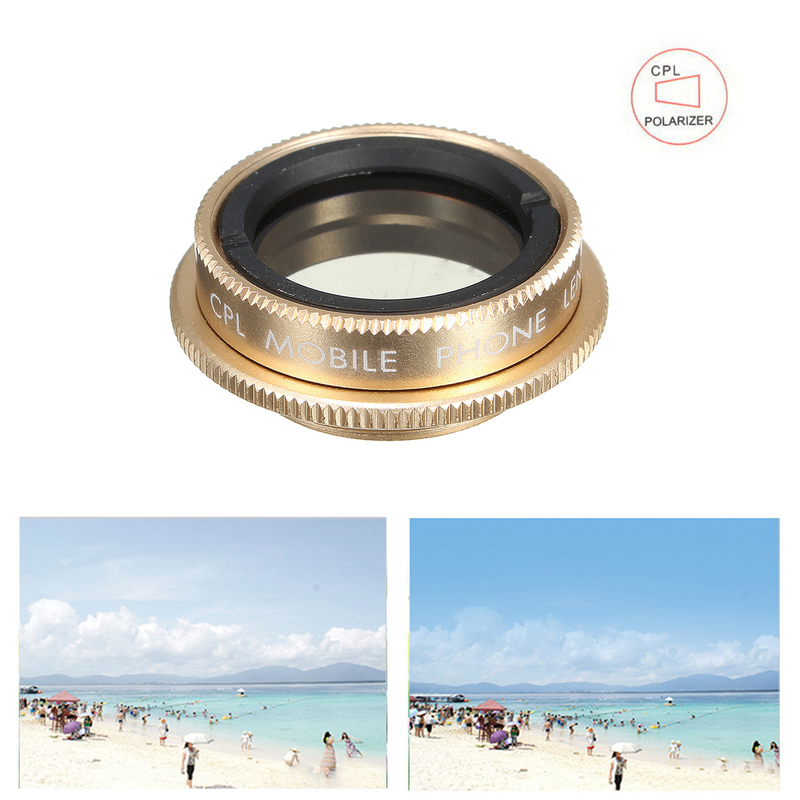 Universal lens clip suitable for a wide range of cell phones and mobile phones. Fit for: Smart phones, Flat lens like iPad, etc. The Macro Len and the Wide Angle Len, the 235°super fisheye and the 19X Macro Lens are attached together while you receive them.